Specialty drinks and pastries that are out of this world. Designed beyond your wildest dreams. A reflection of your style and vision. 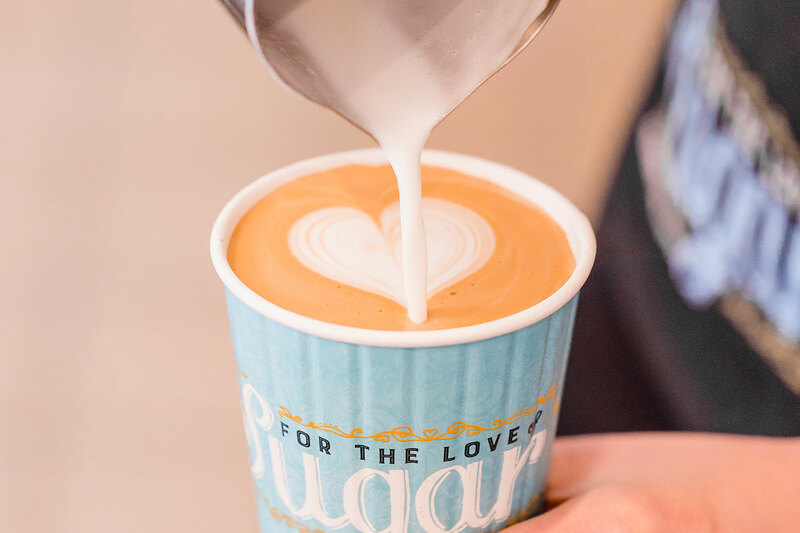 When you order something sweet at For the Love of Sugar, it’s not just dessert you’re getting, you’re getting a product that’s created with love and years of experimenting, in hopes of creating the most delectable treats you will come across. Combine that with a serious passion for baking and a love for Detroit, and your taste buds will experience the very essence of why we exist. 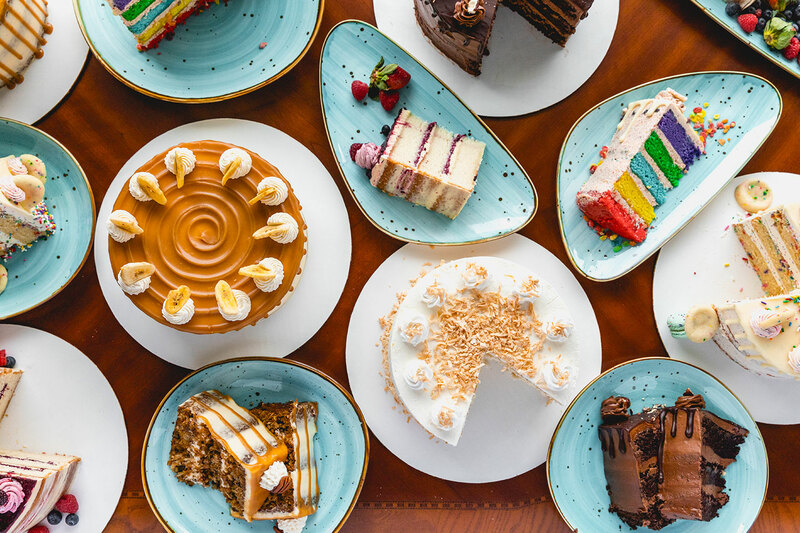 Join us on our journey to create and experience desserts that give a whole new meaning to the term, sweet. We aim to raise the bar for how dessert should be made, how it is presented and how it should taste. 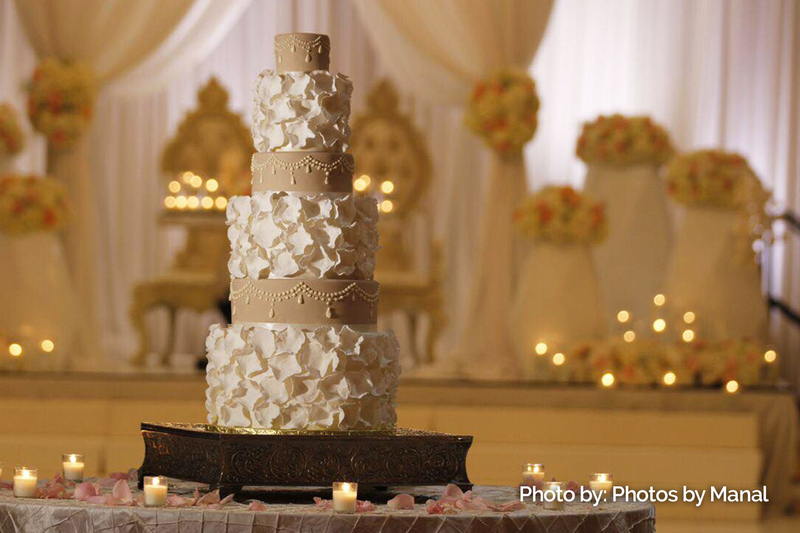 Wedding cakes are the highlight of your special day and they should reflect your own style and vision. 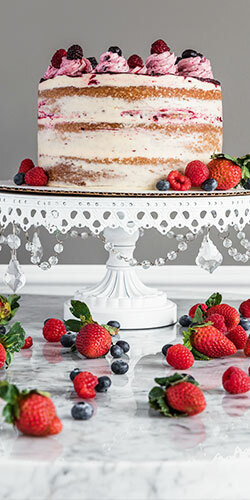 Let the artists at For the Love of Sugar bring that vision to life in an elegant and tasty way! You have an event to celebrate. We have what it takes to make it extra special. When you order a custom cake with For the Love of Sugar, not only do you get quality ingredients, but a piece of art, too, inspired by your imagination! 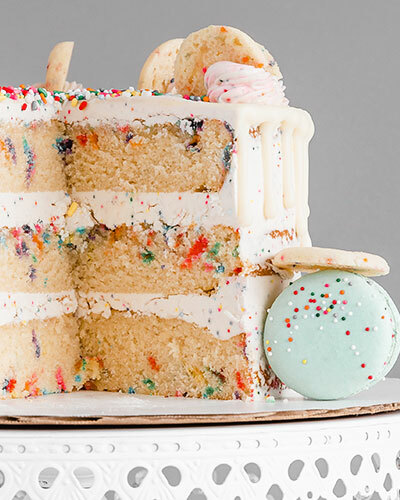 From macarons to mouth-watering cookies, For the Love of Sugar specializes in baking and preparing the tastiest treats, good for any occasion or special event. We also offer an array of gluten-free and vegan pastries. * Visit our bakery to see taste the fresh sweets we prepared today! 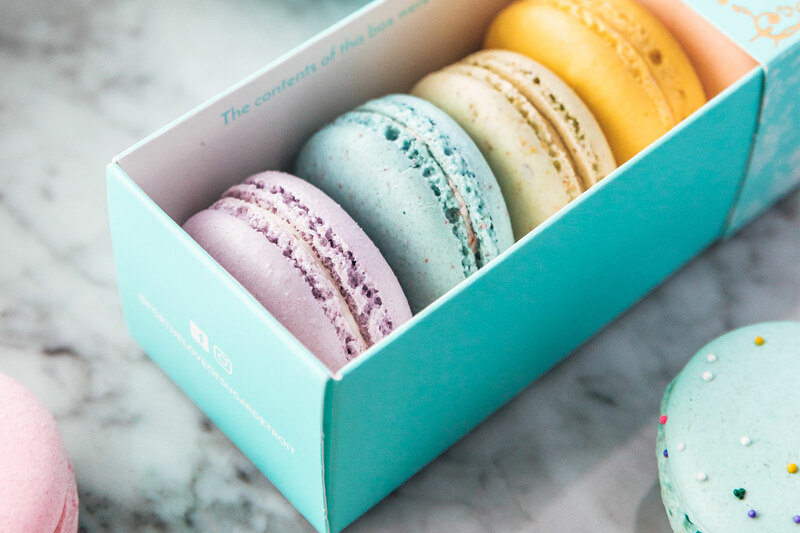 At For the Love of Sugar, you will never see the same assortment of French macarons. We are always creating a variety of extraordinary and unique new flavors. Macarons also make a great gift for that special someone. Stop in today to see what tasty flavors we have available! What makes a sweet treat even sweeter? A fresh cup of coffee brewed from one of our diverse blends, that is. We searched tirelessly to find the most flavorful coffee that pairs perfectly with our pastries, such as brownies, cinnamon rolls and cookies. We put the same amount of effort into crafting our drinks as we did developing our baked goods. 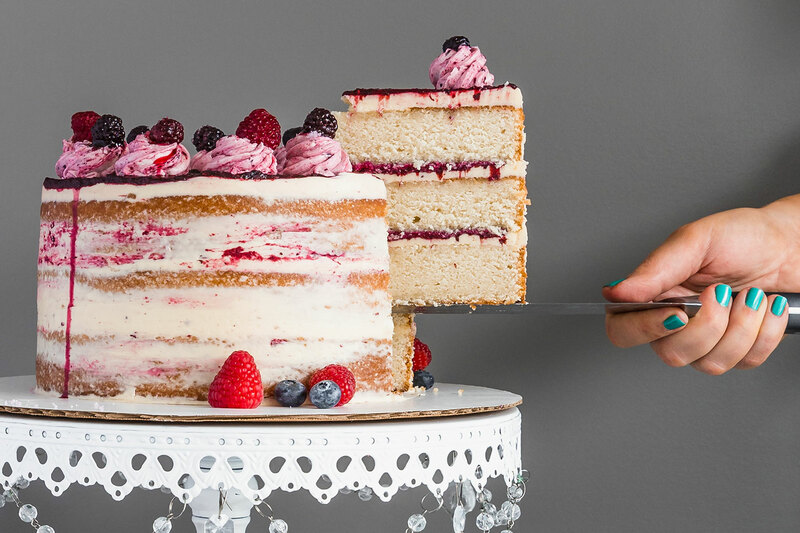 What started as an interest in baking and art turned into a serious passion for cake decorating for For the Love of Sugar owner and founder, Manal. The desire to share her creations with the rest of the world is what drove Manal to open her very own bakery. Now, with the help of a team, we can set out to create an establishment where people can unwind, take it all in and experience the lush atmosphere of everything sweet. Our cakes and pastries are made from scratch. While it’s easier to add ingredients that speed up the process, we wholeheartedly believe that baking is an art form, and Vincent Van Gogh didn’t take shortcuts. 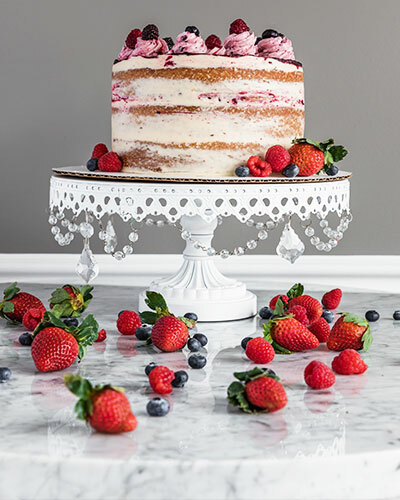 Have an idea for the kind of cake you’d like? We have the skills to make it happen! When crafting a custom cake, we take your ideas and create something that other cakes only dream of becoming. Manal spent years taste-testing and studying the chemistry of baking to make sure each and every bite we serve is delicious. We don’t take the word, sweet, lightly. Try our sweet treats and your taste buds won’t be sorry! When we look at a whisk, we see a paintbrush. We take pride in our ability to decorate cakes and pastries like pieces of art. 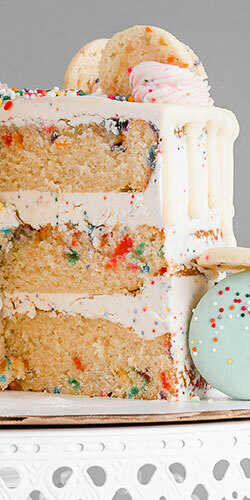 Our cake artists put their creative touch on every cake we bake.